“Traditionally the Yorkshire Rose goes back to Edmund of Langley, the 1st Duke of York in the 14th century. During the Civil War in the 15th century it was the symbol of the Yorkist forces as opposed to the rival House of Lancaster, although the Red Rose of Lancaster would be a later invention. The Tudor Rose came into being when Henry VII symbolically united the two houses and roses to create the Tudor Rose, symbol of the Tudor dynasty. 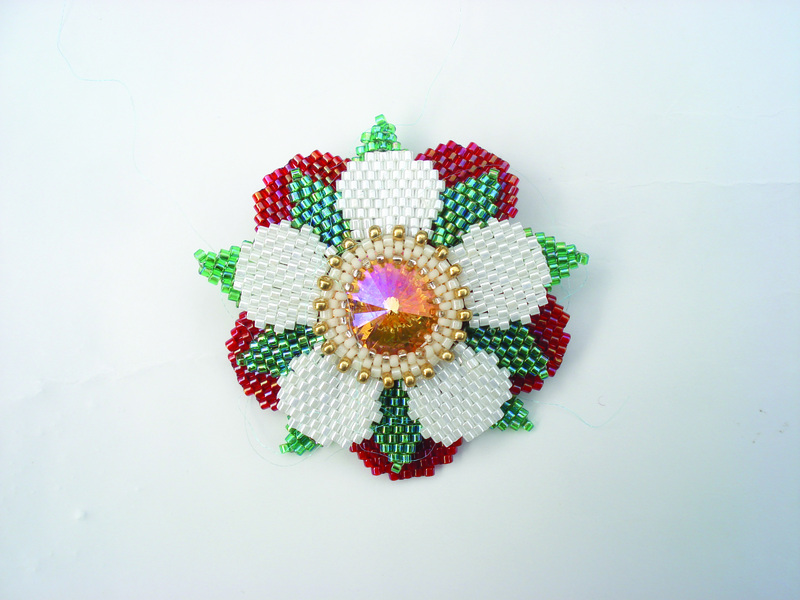 The most beautiful bead jewellery known in Hungarian tradition is the bead-collar from Sárköz. It is tied firmly on the neck, but spreads from shoulder to shoulder about 10cm wide. 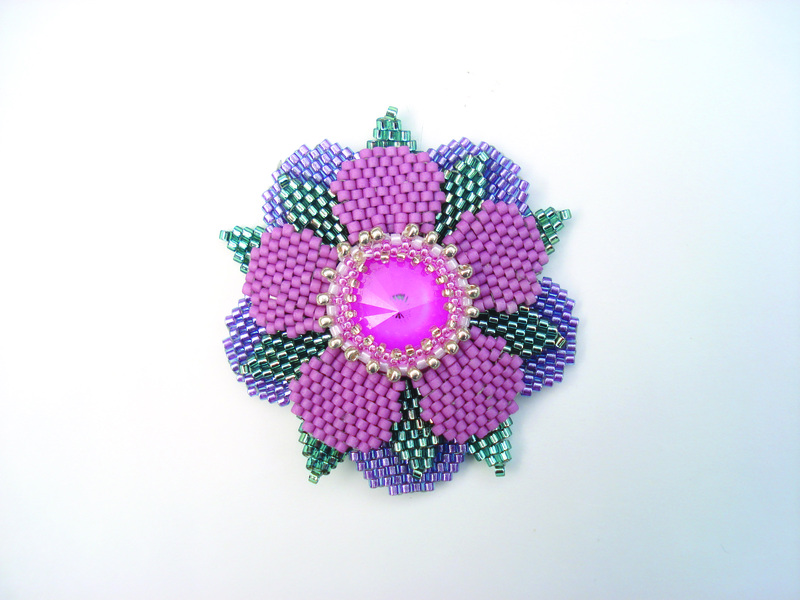 The collar is made with differently coloured beads in each row (Tarka in hungarian meaning variegated). Traditionally it was worn on Sundays and feast days with a white blouse. The seniors made them by hand, in blue, green and black variations. The upper part of the necklace is a 3cm wide, textile ribbon with 3 layers, which is decorated with selvedged stripes or beads. Originally, it was hemmed with lace-ruffles but nowadays we decorate it with white beads. We sew the cumulative rows to the straps, and the last row is adorned with faceted beads. We can make it with one colour, but the combination of 3 or 4 colours is the most eye-catching. 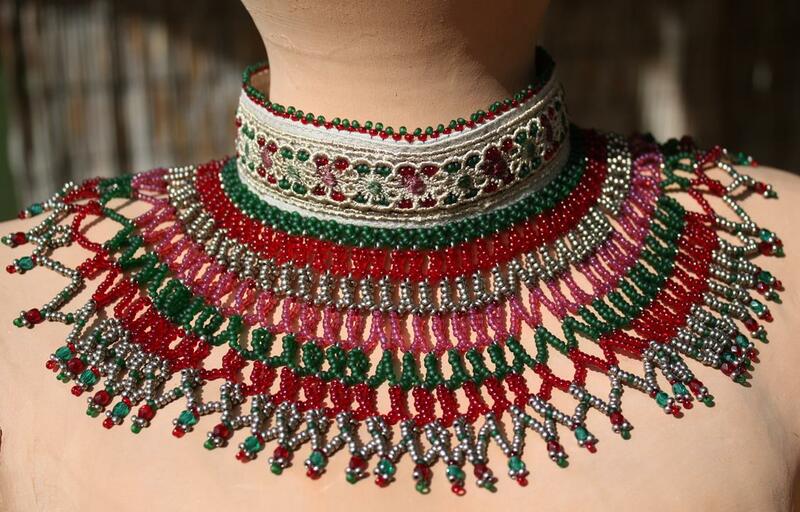 The true traditional Sárközi colurs are claret, blue, green, gold, black and white and the finished collar consists of about 10000 beads, and weighs 200–250g (about 1/2 a pound). 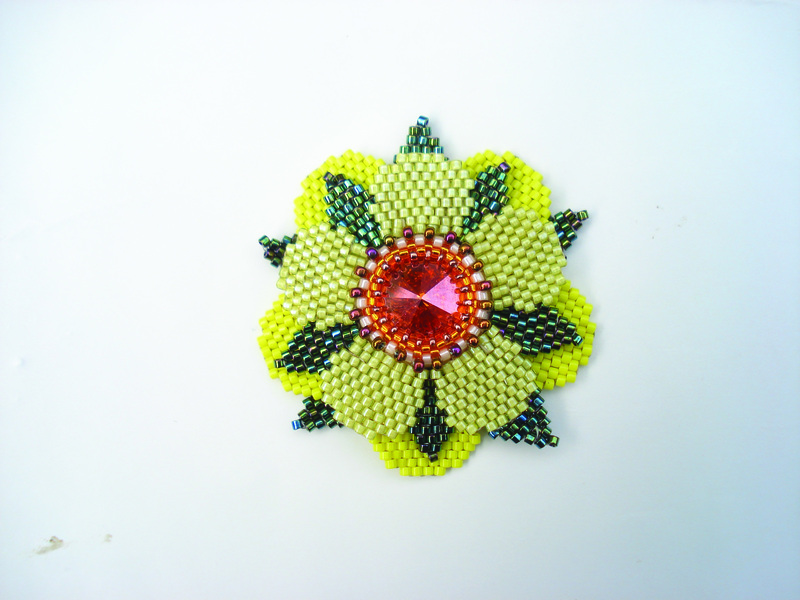 The above bead colours are for either the Yorkshire Rose or the Tudor Rose. You can of course choose any colour that you want. www.perlesandco.co.uk (25 colours) – a French company. Traditional colours on the list but any colours can be used to match or contrast the ribbon.